Soo nice to go a little further away then the area around my home town. it's a distance of nothing but I like it to discover new little corners to paint. Burgemeester de Wijslaan 14. Brummen, The Netherlands. 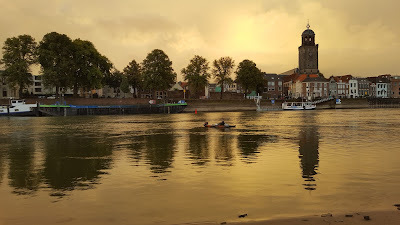 Next week I'm heading to Deventer, ... a little further then today even outside this county. Sandton IJsselhotel Worp 2, at 10:00 o clock. that's on the other side of the IJssel btw. Would be fun to meet you there.